Big Brother has denied claims that Stormy Daniels didn’t go into the Celebrity Big Brother House because producers wanted to “control” her. The adult film star was expected to be one of the housemates this series, which started on Thursday night. But she pulled out at the last minute, and her lawyer said producers “tried to script a result” that she wouldn’t go along with. The adult film star hit the headlines after alleging she had slept with President Donald Trump in 2006, which he denies. Stormy Daniels, whose real name is Stephanie Clifford, also cancelled an appearance on Friday’s Loose Women because of a “legal situation”. Co-host Jane Moore spoke to her off camera and told viewers: “There was a custody development with her daughter late last night. Daniels’ daughter is seven, and going into the Celebrity Big Brother could have isolated Daniels from the outside world for weeks. 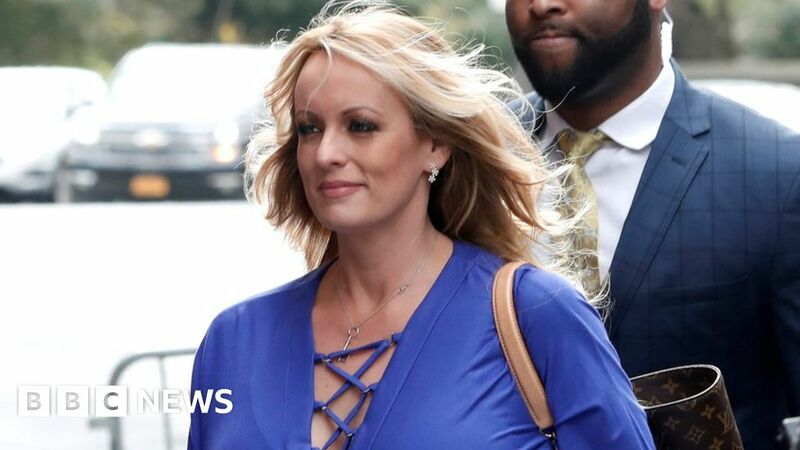 Newsbeat has contacted Stormy Daniel’s representatives for comment. Meanwhile, contestant Rodrigo Alves has been given a formal warning by the show for using racist language. The TV personality, who is known as “the human Ken doll” because of the amount of cosmetic surgery he has had, told former Towie star Dan Osborne that he wasn’t attracted to him as he was “too white”. Rodrigo Alves used the N-word twice in the conversation. He blamed being excited and drunk for saying the word and said that he regretted using it.